Cravens 1960 tube stock waits for the road to Ongar, during the end of Tube weekend at the Epping & Ongar railway. Power provide by two Schoma diesel locomotives. 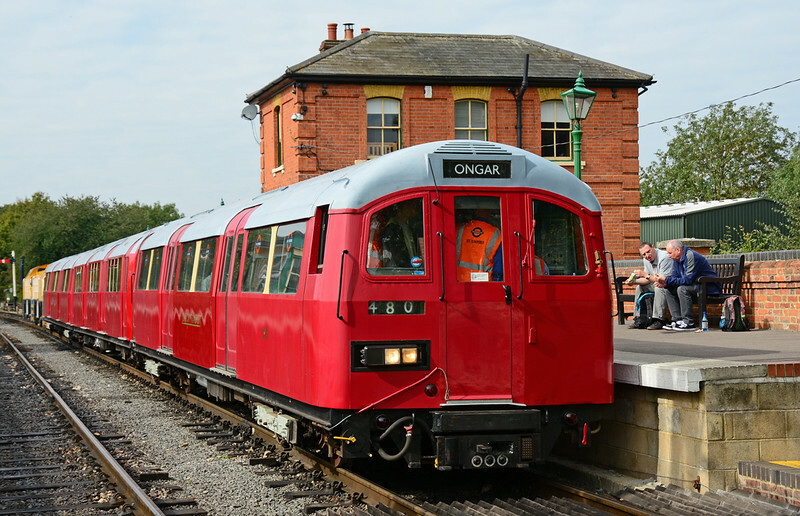 It is Twenty years since the last Tube train departed Ongar, so a little piece of history in the making.